Like most writers, I learn a lot by studying other writers and reading books about writing. Following are the writing books on my bookshelf. 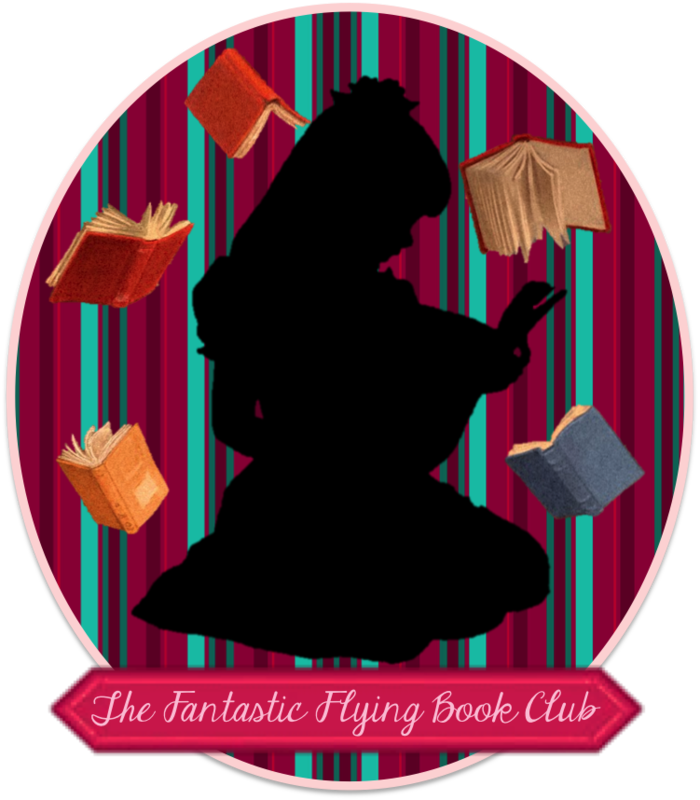 What books have you found to be helpful in learning how to write or get published? I wrote this essay for Bylines: 2009 Writers' Desk Calendar -- The Essential Weekly Planner for Writers. Old books remind me of why I write. I want to be immortal. A line from Caroline Mytinger's 1942 book, Headhunting in the Solomon Islands, became my motto when I read it: "A woman's destiny ... is not fulfilled until she holds in her arms her own little book." Her incredible journey to the South Seas islands as an adventurous young woman would be a forgotten memory if not for her books. Caroline will never die because her stories live. Through The Power of Positive Thinking, Dr. Norman Vincent Peale eased me through my teen years as I read it over and over again, lifting my spirits through the depths of my adolescent angst. He continues to save lives as his books inspire so many people today. When A.A. Milne penned his Winnie-the-Pooh tales, he surely never imagined he'd still be delighting children long after his death. Same with Beatrix Potter. C.S. Lewis and his friend J.R.R. Tolkien are enjoying a renaissance as some of their books have recently been made into movies. These writers are not dead. As long as their imaginations, wisdom, and skills are a permanent fixture on this Earth -- as long as people read their books -- they are alive. They leave a legacy that will never be forgotten. It is the same destiny that I long to fulfill. Now it's your turn: Why do you write? People often ask me how I became an author. Well, sometimes you just can’t plan such things. In fact, sometimes you can’t plan twins either, which is what happened to me when the third and fourth of my sons arrived in December 2003. At the time, I was working full-time as a Senior Editor for a book publishing company, so I left with tentative plans to build a freelance editing career. However, during the early months of my twins’ lives, I found that my goal was overly ambitious. No sleep. No quiet. No time to myself. I lived in a sleep-deprived, bleary-eyed bubble for the next six months! But then, one night, the idea came to me to write up a story. It was about the twins, of course. I could think of few other topics during that time! I wrote a little article about my twins and submitted it to Twins Magazine, along with a copy of my resume. She was offering me a book deal? I would have been crazy to turn down a request like that! But could I really handle it and still care for my twins? I resolved that, somehow, some way, I would make it work. And so I did. 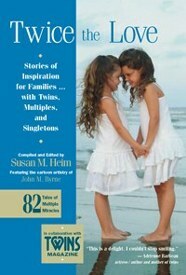 Twice the Love: Stories of Inspiration for Families with Twins, Multiples and Singletons turned out great. And things snowballed after that. An author from my former company called to say she had a book contract with another publisher and needed a coauthor. Would I be willing? Of course! 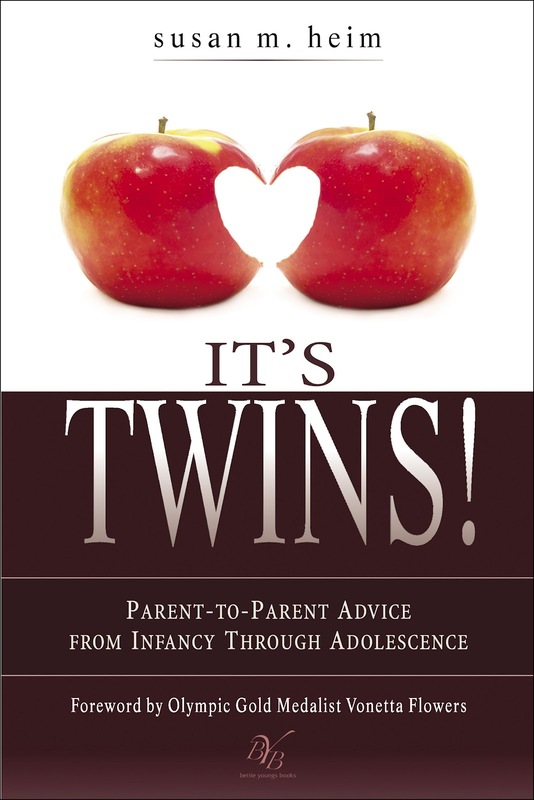 Soon after, that same publisher asked if I would write a book about raising twins for them. The result was It’s Twins! Parent-to-Parent Advice from Infancy Through Adolescence. Since then, I’ve authored or coauthored ten books and counting. If someone had told me that having twins would be good for my career -- that it would send it off in a direction that was bigger and better than I could ever imagine -- I would have said they’d been sniffing too much diaper rash cream! But that’s exactly what happened. Having twins truly turned out to be a blessing, both for our family and for my career.